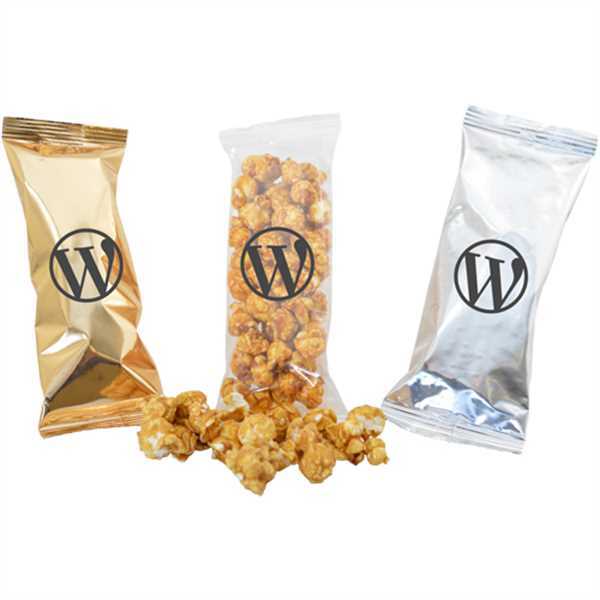 Production Time: 5 business days - Give your loyal customers something to snack on with these bags full of kosher caramel popcorn! These fitting "Thank You" gifts would be ideal for charity fundraisers, industry tradeshows and corporate picnics. Your name, logo or message can be custom printed on the gold, clear or silver background enabling you to create a personalized gift for the next event you organize. A delightful treat that's brimming with promotional possibilities! Size: 3 " x 8 1/2 "
Imprint Size:2" x 4 1/2"